TWO years after it was set up and an estimated £1m of public funding having being spent on it, the Northern Ireland Charities Commission has yet to be properly established. The Detail understands that there has been a continuing series of rows between the commission and its sponsors at the Department of Social Development which has even seen commissioners refusing to turn up at the opening of their new headquarters in Lurgan. Now, a chief executive of one of Northern Ireland’s leading charities has said that the public could lose faith in the charity sector if the delays with the commission are not resolved soon. Roisin Foster, Chief Executive of the Ulster Cancer foundation believes it’s imperative that the commission gets up and running as soon as possible. “I think it’s important for the reputation in general for charities and the trust that the public can have that the money they give to charities in Northern Ireland is being well spent and being directed towards the overall charitable purpose of whatever the organisation is. 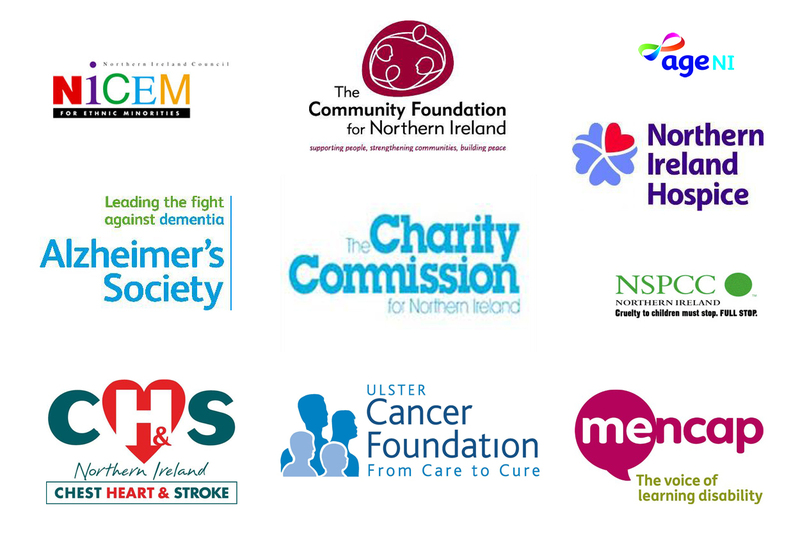 When the Charity Commission for Northern Ireland was launched by the Department of Social Development in June 2009, the charities sector thought they would finally catch up with their counterparts in England and Wales who had formed two years earlier and Scotland who formed the Office of the Scottish Charity Regulator (OSCR) as far back as 2003. However progression of the CCNI has been delayed even further because of a “technical problem with the wording of the original legislation”. The Charities Act (2008) is to be amended because of discrepancies in the public benefit test legislation which may have led to legal challenges from charities. Another two years has passed and the Commission has still not started to register charities. Initially it was expected that the register would be drawn up in September 2009 and the first registrations were anticipated in June 2010. Helena Macormac from The Northern Ireland Council for Ethnic Minorities says as a smaller organisation in the charities sector they feel vulnerable. The problem with the Charities Act was spotted by the Charity Commission and its Senior Counsel early in 2010, but it was not until the December of that year, six months after the first registrations were supposed to begin, that the previous minister Alex Atwood submitted the Charities Amendment Bill. The Department of Social Development explains how the Bill was not approved. The Charities Amendment Bill will now have to be submitted again, which may not happen until the end of this year and with the registration process taking anything up to two years, we may not have a full register of the current charities until 2013. Currently the Commission has a temporary base in Arthur Street, Belfast. In March of this year Alex Attwood announced that the Commission would be moving to a permanent location in Lurgan. Mr Attwood was keen they would be located away from greater Belfast. “Lurgan is within the top 10% of deprived neighbourhoods in Northern Ireland so this will be a welcome boost. Moving jobs out of Belfast and to areas of need is a twin track approach that tackles need,” he said. The decision to move out to Lurgan was made without the Commission’s involvement. At last month’s opening, there were no representatives from the Charity Commission in attendance. A representative for the Commission has said that none of its senior staff had attended because they were not informed about the opening in time. The Detail understands that the Commission had hoped the decision would not be made until after the election and Mr Attwood, who was leading the push to have the commission based outside Belfast, was no longer the Social Development Minister. The Charities Commission didn’t receive its investigatory powers until February 2011 and the registration process is yet to begin, however from June 2009 to December 2010 it had a total expenditure of £855k. Statistics provided by the Department of Social Development show that since the launch in June 2009 until March 2010 the commission incurred £6k in expenses and paid out over £240k in salaries. On top of this there was an additional £120k spent on administration, added together for this initial nine months it has a combined value of almost £370k. In the six months that would follow it shows that between April 2010 until December 2010 – staff costs amounted to £294k with the Commissioners’ costs alone adding up to £17k. When the charity register database expenditure and other running costs are added it totals at £485k for that nine month period alone. We asked for a further breakdown of these costs but they could not be provided. With registration already a year behind schedule and no indication when the process will begin, Frances McCandless, the Chief Executive of the Charity Commission says the last year has been spent looking after all the formalities and legalities that will allow the Commission to begin their work. There are an estimated 12,000 charities in Northern Ireland and only 7,500 of these groups registered to the HM Customs and Revenue. The Northern Ireland Council for Ethnic Minorities believes it is newer charities who are suffering because of the delay. In 2006 the PSNI warned the Northern Ireland Affairs Committee that paramilitaries and criminal gangs were using some charities as a front to launder money. In June 2009 there was a call for the Charity Commission to investigate the charity ‘Ireland Air Ambulance’. A BBC investigation highlighted the fact that the charity had raised £700,000 from the Northern Irish public and had spent £500,000 of this on wages and other costs. The Charity was later dissolved without ever landing a helicopter, but later reformed under the same name with a group of eight businesses and community representatives. However in January of this year it ceased operating because it did not have the support of its key stakeholders. Roisin Foster believes this is a perfect example of why Northern Ireland needs a charity commission. Chief Executive of the Charity Commission Frances McCandless is hopeful that when problems with the legislation are resolved it will be a much more transparent system for the public to operate within. The Charity Commission has said that it will initially carry out a pilot scheme with 20 charities to ensure the registration process works effectively. They could not comment on how long this would take. Helena Macormac (NICEM) thinks that the Commission could be doing more. In the meantime Roisin Foster as the chief executive of one Northern Ireland’s main charities says that two years after its setting up, she is yet to have any direct contact with the Charity Commission.